Since 2000, Allyson June Smith has been tickling Canada's comedy scene from the moment she put down the chalk brush and picked up a mic. Her credits include her own hour long Comedy Now special, appearances on CBC Radio's hit show The Debaters, and the Winnipeg, Halifax and Just For Laughs Festivals, to name just a few. 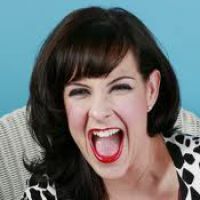 A multiple Canadian Comedy Award nominee for Best Female Stand-Up, she performs for audiences ranging from corporations to the most rural of gatherings. Whether she was the emcee, support, or headliner, she's delighted them all. After working her way across Canada, Allyson now has taken her craft to the UK. Using her sassy blend of in-your-face stand-up and hilariously insightful commentary, she now works for major UK promoters and comedy clubs. It is her genuine and unique sense of humor, combined with excellent performance timing, that has made audiences laugh. This teacher-come-comic is ready to show international audiences why she is a sought-after fan favourite.